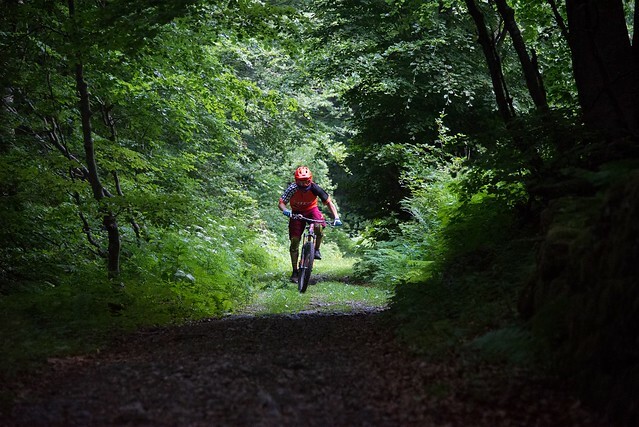 "A few months ago I was sent an email asking if I would like to go and race the first ever Trans Julius Enduro, in Slovenia by Anna from Bikesoup magazine. 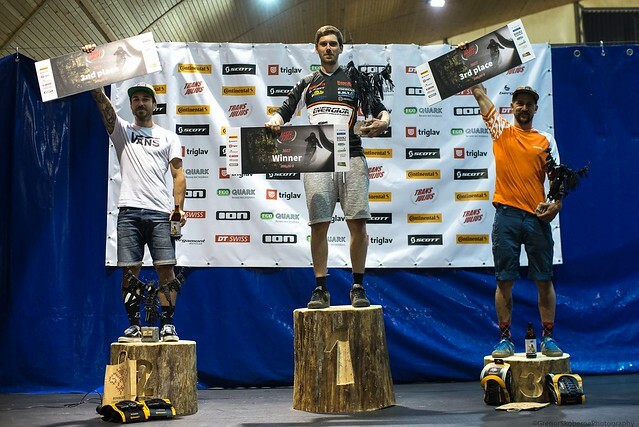 The trip format was, a few days either side of the event to document the Slovenian scene surrounding the race and to a point the country in general. 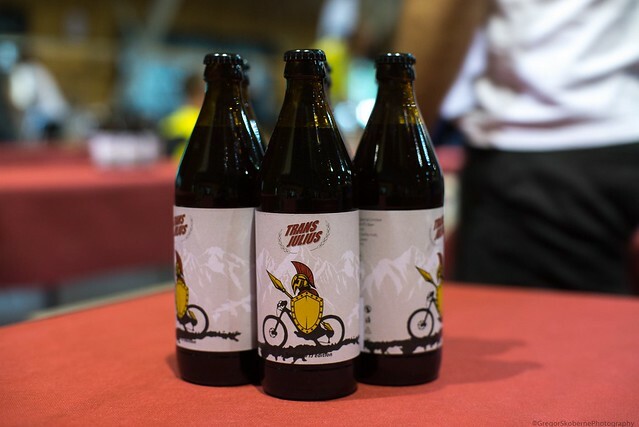 The event itself is a four day stage race, in the truly magnificent Julian Alps. Slovenia has been on my list of places to visit for some time now, so it’s safe to say the stoke was high, and building, for this one. No sleep, an abandoned van and a few forgotten items, saw me arriving in Slovenia, early Tuesday morning with my passport, bike camera and a few euros. What could possibly go wrong? Our hosts, the organisers of the race were amazing from the off and coffee, beer, food and perfect tour guiding was the initial order of the day. Their English not only put my complete lack of Slovene, but also my questionable northern dialect, to shame. A couple of days, guided by the ever enthusiastic locals got us champing at the bit for the race. Dry dusty trails, within some of the most breathtaking mountain scenery I have ever come across can’t really fail to stir the stoke. I had seen the mountains from the plane window on the way into the Ljubljana runway, and even from that overhead perspective, had struggled to grasp the scale and vastness of them. Now we were on the trails, it was even more exciting. 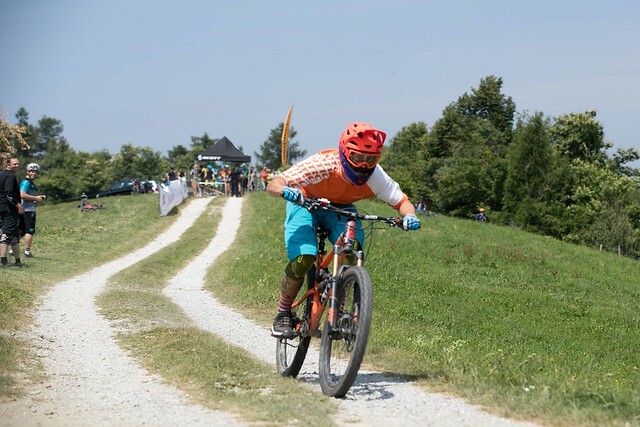 For a first Trans race by the team and coming in at sub €200 for a four day event, the organisation, food provided and entertainment was top drawer. 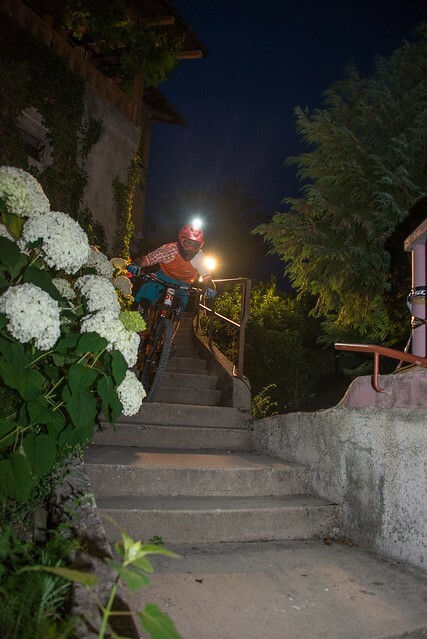 Seeding was run on Thursday, with a night stage ending in on the town steps and into the square. Novel, fun and rowdy, if I had to choose three words to describe that one. Placing 6th, after a decidedly dicey crash on the cobbles near the end, I headed into the main event feeling positive. 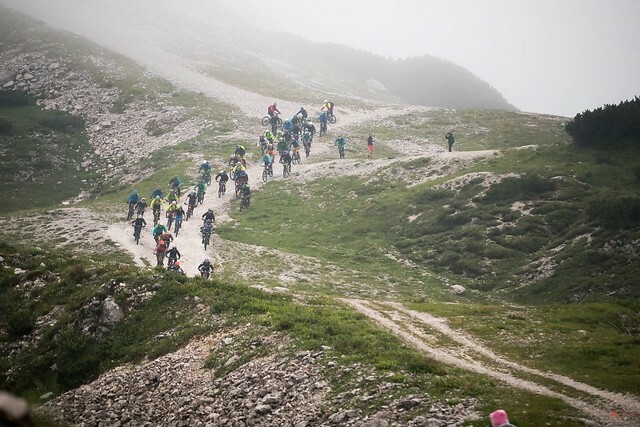 The subsequent days were a whirlwind of high alpine passes, insane mountain views, gruelling climbs, amazing singletrack and some 90’s throwback, off the brakes, flat out fire road and old WW1 artillery tracks built by the Italians high in the mountains. Bike riding and history lessons, maybe if I'd paid more attention at GCSE if we toured the historical sites by bike?! The final stage, saw us perched a top one of the highest accessible points from the Vogel ski resort, staring down a seriously fun looking scree slope, awaiting the mass start. Minutes before the klaxon should have been sounding the start of our final descent of the race the sky turned an ominous black and a crack of thunder forced the start line a little farther down the hill. A little gutted to not get the chance to race the screes, but what unfolded was more than enough to be, undoubtedly, a lifelong memory. As we dropped into the initial bike park section the storm had already caught up with us, and the rain was heavy! Out of the bike park onto the lower slopes of the hill and the visibility was down to about 10 metres, and the rain was sideways, rounding one corner I was physically knocked off my bike by the wind. Thunder was growling through the valley and even though it was only midday it felt like dusk, only lit up by the occasional flash of lightning. This was epic, I pulled into the finish, pretty unaware of position, time or whether or not I’d just ridden or swam down the last 20 minutes of track. In the end it turned out I’d pulled myself into 3rd position on the last stage, but a big enough margin to go 3rd overall. 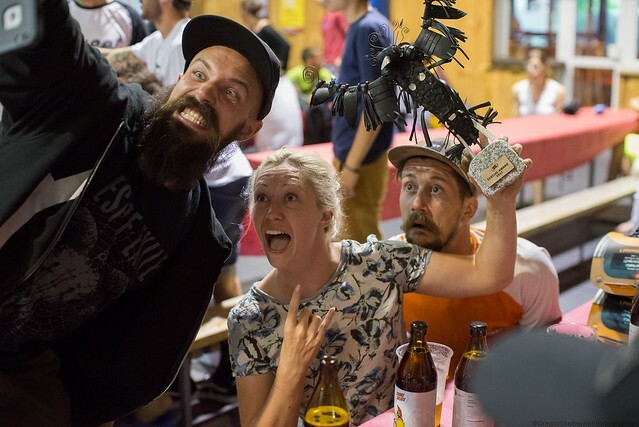 So I got to stand on a log, won an amazing recycled tyre trophy made just down the road, an entry for next year, beer and most importantly received a novelty sized cheque, so thats a life goal complete. Slovenia rocks! I’ll definitely be back!"